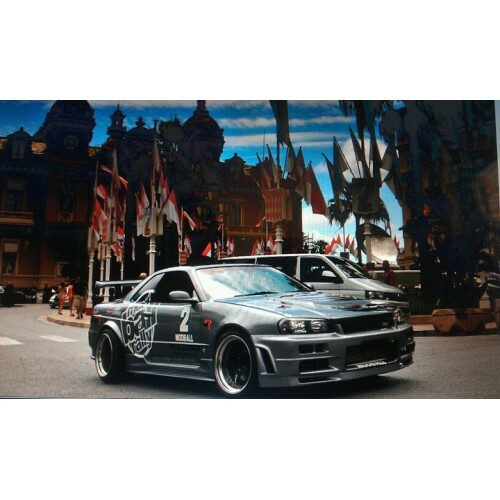 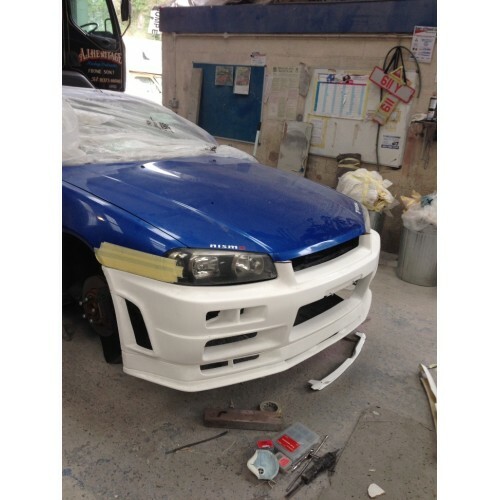 Nissan Skyline R34 GTT East Bear Spec 2 Front Bumper with Splitter - NEW IMPROVED! 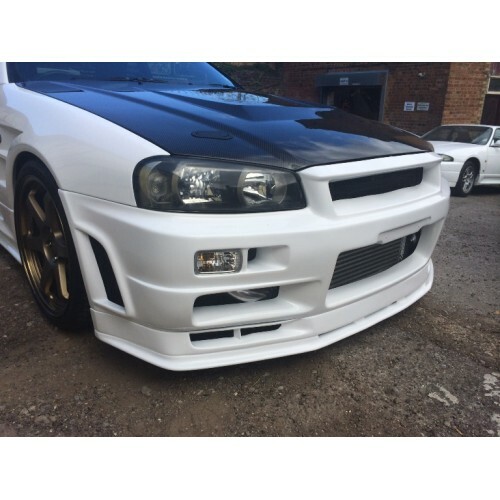 East Bear Spec2 Front Bumper with BUILT IN Front Splitter for R34 GTT. For standard wing fitment. 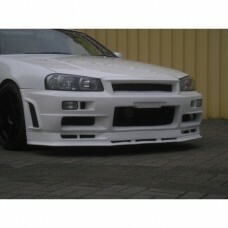 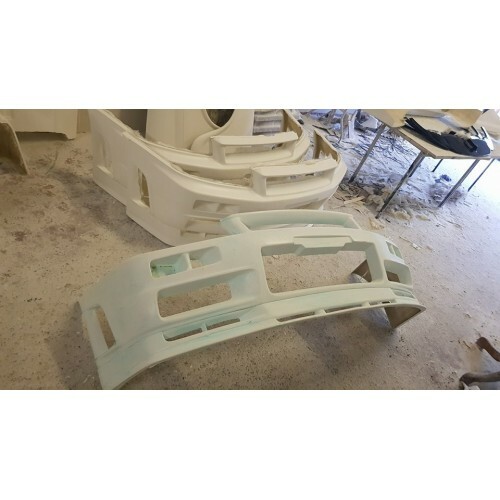 This Bumper is designed for GTR bonnet/hood fitment. 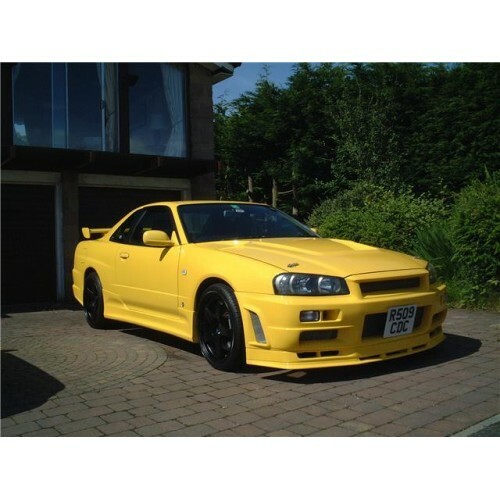 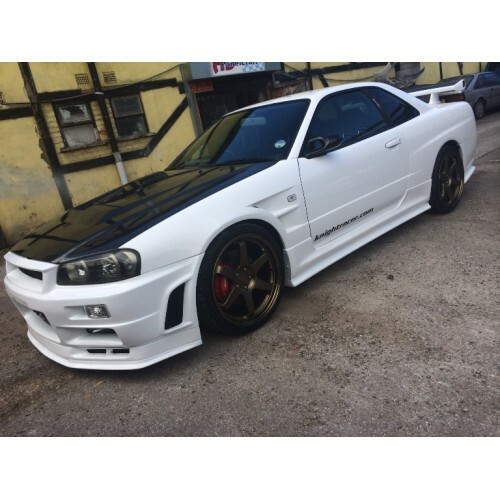 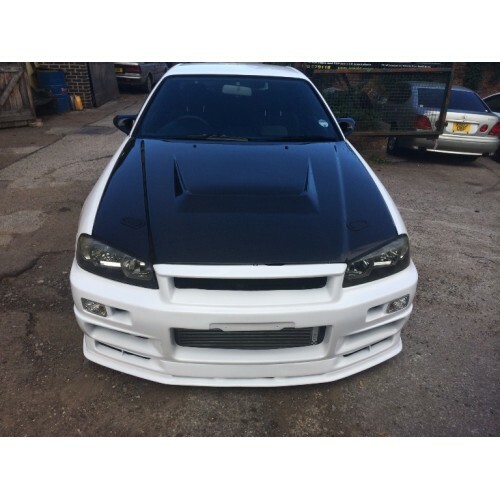 We recommend our R34 GTT East Bear Spec 2 Carbon Bonnet. 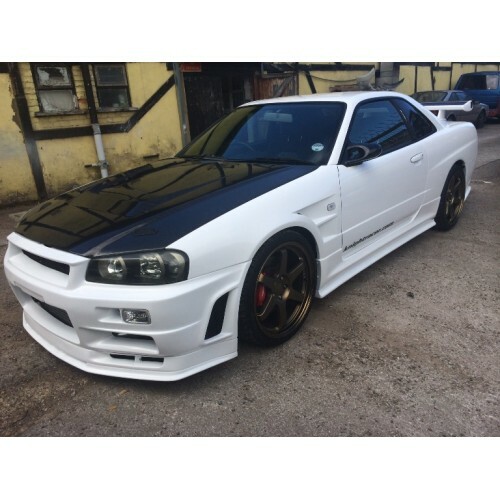 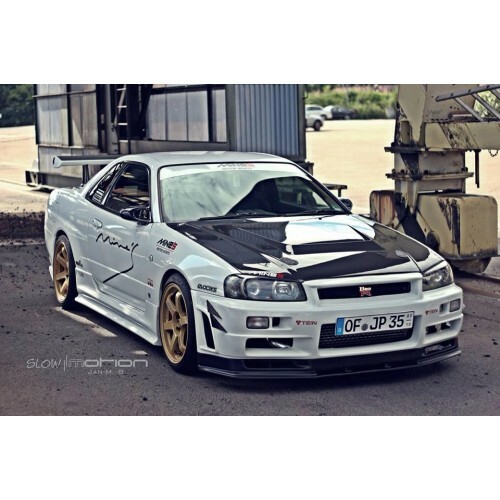 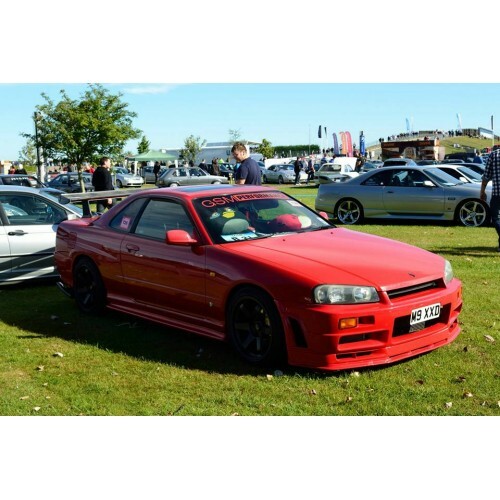 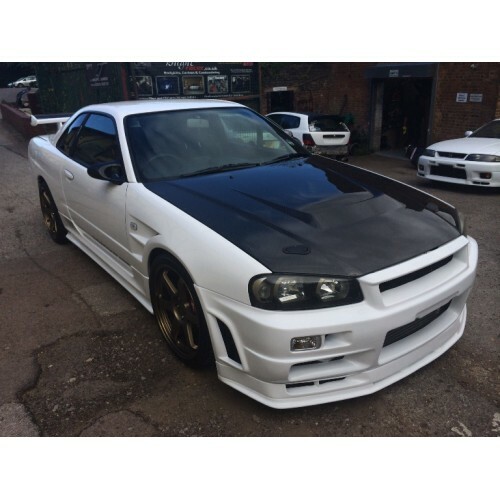 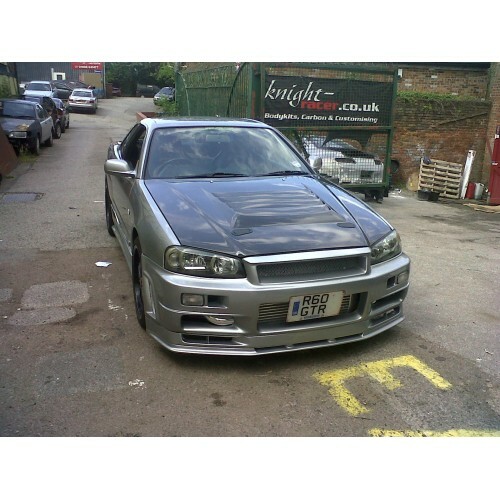 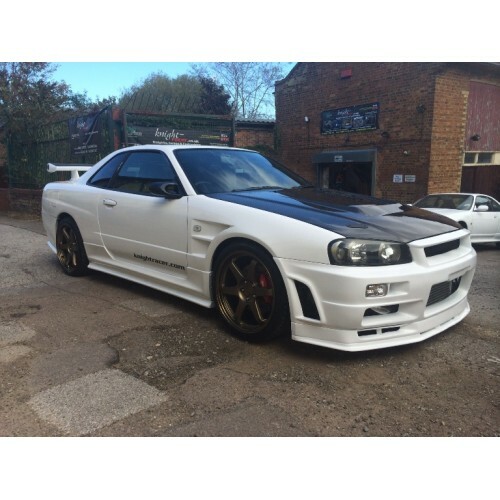 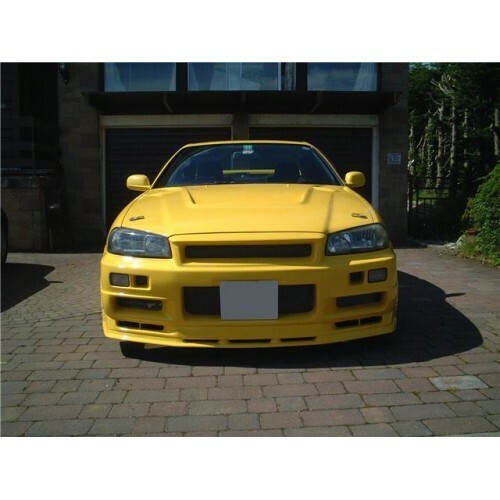 However you can also use our R34 GTR Nismo Carbon or FRP Bonnet.